The ‘Transway 1C’ and ‘Parent 14’ Bus Routes have stops on Tecumseh Rd near our agency, which is located ½ block north of Tecumseh Road and 1 block east of Parent Avenue at 1770 Langlois Ave, Windsor Ontario. The intersection at Parent Avenue and Tecumseh Road has stop lights. View Transway 1C Bus Route Map or Parent 14 Bus Route Map. 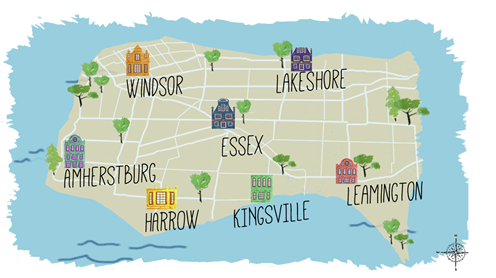 Contact us for exact Services, Days, Hours and Locations across Windsor-Essex. Counselling Appointments and Group Sessions are available. Contact us to find out more details or to book an appointment. Complete the following information and submit. We will contact you. Allow 2 business days for a reply. Please DO NOT use for any CRISIS or EMERGENCY situations. By checking this box I understand that I am sending my personal contact information to Family Service Windsor-Essex and that this may not be a secure method of communication.